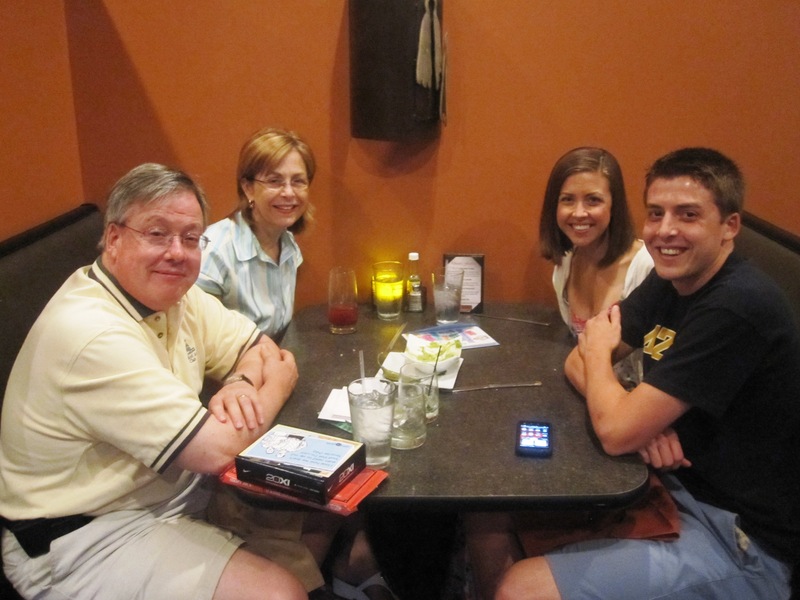 To celebrate Father’s Day, my family (minus my little brother who’s away for an internship) went out to dinner. 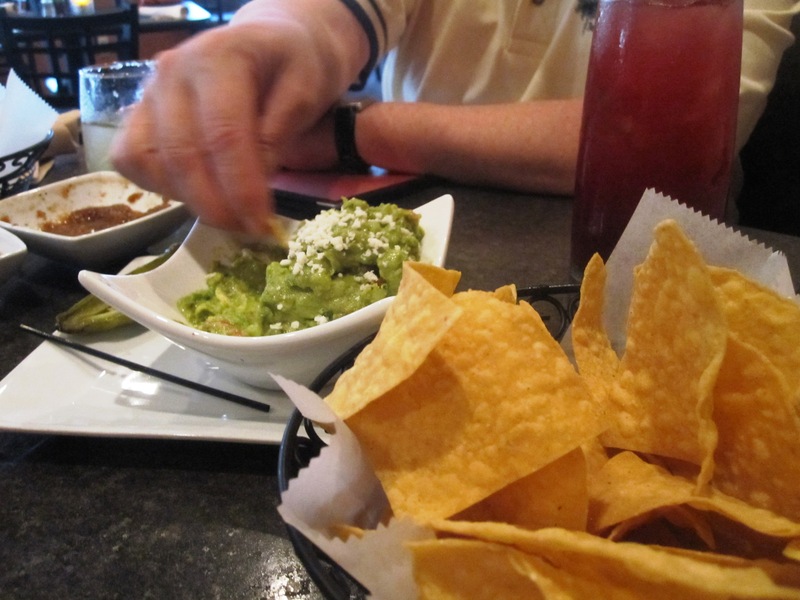 My dad chose Milagro Modern Mexican, a relatively new restaurant near our home in Webster Groves. Milagro has all of your traditional Mexican favorites but also serves more upscale twists like duck tostaditas, salmon grilled in a banana leaf, and mushroom enchiladas. The last time I ate at Milagro was with my parents on Mardi Gras. Remember that? I don’t. But my friend Jillian just posted a picture of me from that day. I’m eating an apple in a bar. Anyway. Back to last night. We were brought chips and salsa to start and my dad ordered some guacamole. I tried to resist, but once I got started on the chips there was no stopping me! I had my fair share and split my bites between the salsa and the guac. The guac was homemade with chunks of vegetables and was SO delicious! 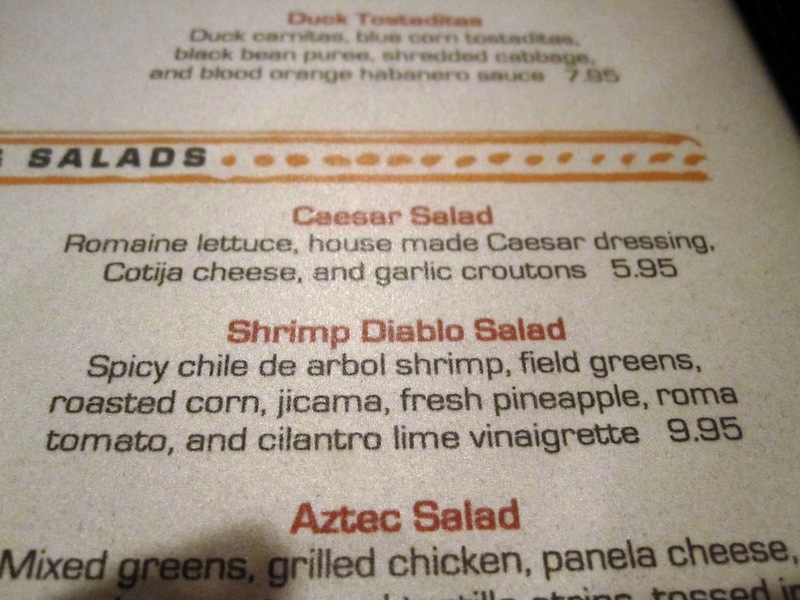 For my entrée I ordered the Shrimp Diablo Salad. It was perfect! 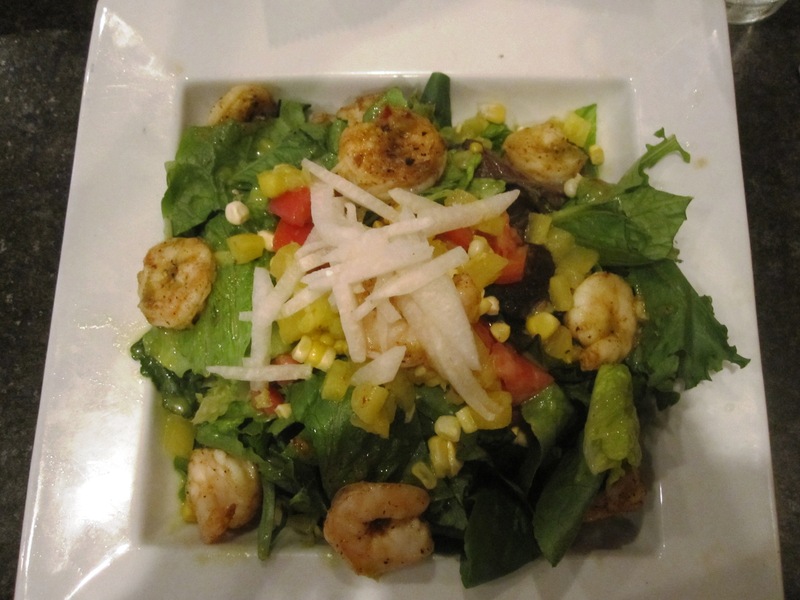 The shrimp were slightly spicy, the pineapple added a wonderful sweetness, and the vinaigrette was fresh and light. Just the type of meal I needed after a big appetizer of chips. My mom wouldn’t let me steal the spoon. No fun. Everyone really enjoyed their dinners and it was great to spend some time with the family and celebrate my Dad. He’s an alright guy;) Happy Father’s Day Dad!! 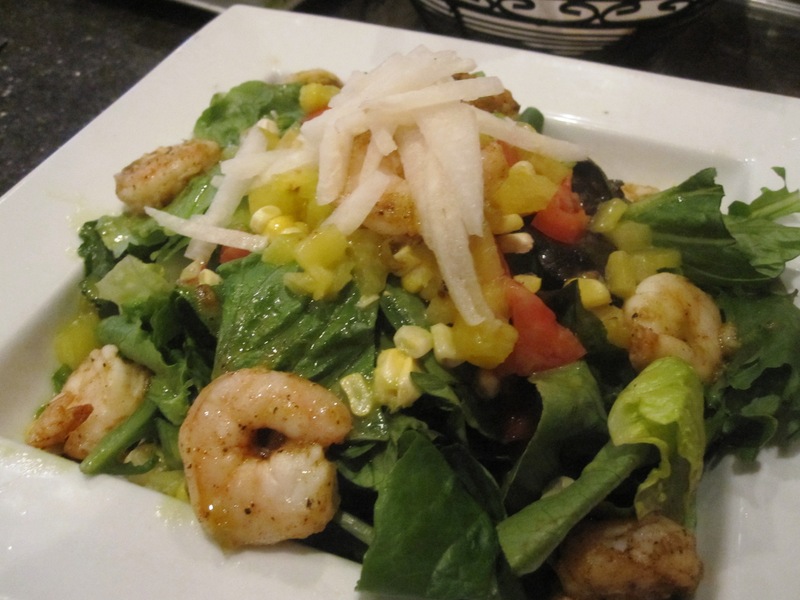 I wish I had the control to order a salad at a Mexican place – enchiladas and quesadillas are always too enticing, but that salad sounds delicious! Aaahhh…I’ve been saying I’m going to make veggie enchiladas for ages after going to the most amazing Mexican place a few months ago…I have a feeling the mushroom ones would have been to die for. glad you had so much fun with the fam! Haa great picture of you with an apple at the bar! Moderation in action! I take apples to bars too! NBD. 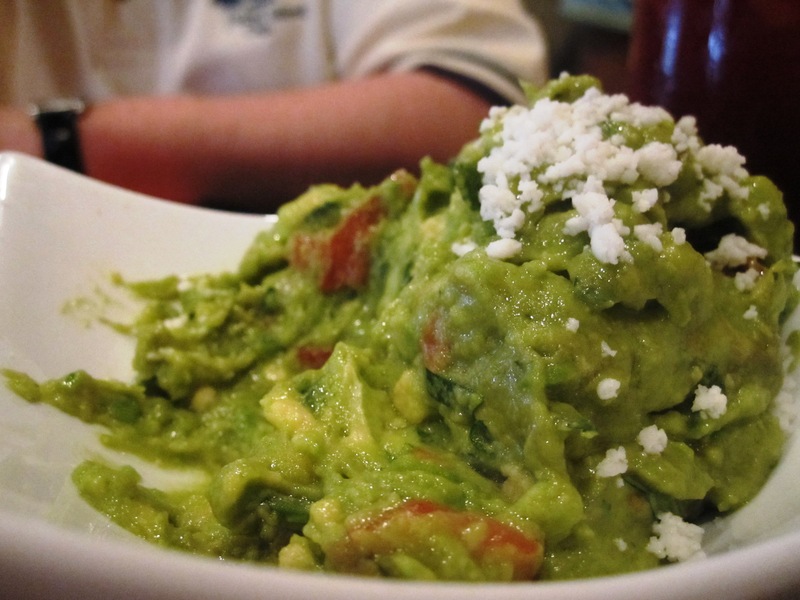 I’m drooling over that guacamole! I don’t eat it very often, because I really can’t resist it, especially when it’s really chunky with big pieces of avocado in it. Your brother sounds like mine. He’ll put up with my shenanigans to an extent, but once he’s had enough, it’s done! I could swim in guacamole. It has to be good, homemade guac, though! None of that runny, store-bought stuff! Looks like a fun dinner with your family! that guac looks sooo good. so does your salad! Glad you had fun on Father’s day!! That sounds like a fun family dinner! And omigosh, I can NEVER resist the chips. Sometimes I’ll try and limit the amount that I have, but the next thing I know, I’ve finished a whole basket! Mexican food is dangerous for that very reason! And omg that little spoon- how funny! How random that it came with his tacos! haha sounds like a very festive dinner 🙂 that spoon is ridiculous!! Hahaha. 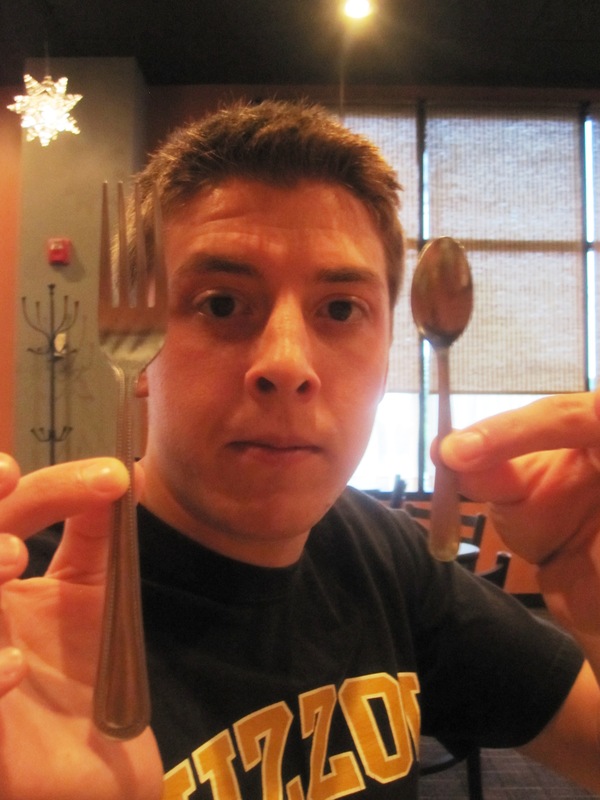 If my brother had a little spoon like that he definitely would notttt use it, lolzzz. You have the most gorgeous eyes! 🙂 Glad your family had a wonderful Daddy’s Day! 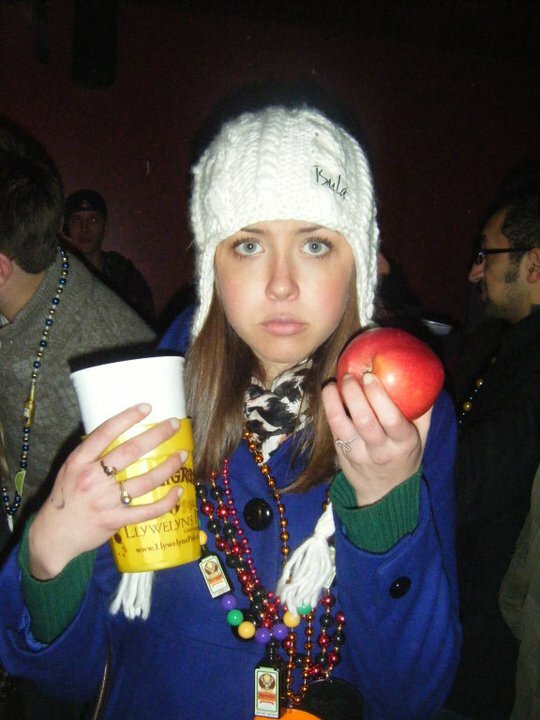 Hahahahaha, the mardi gras pic, hahahahah.